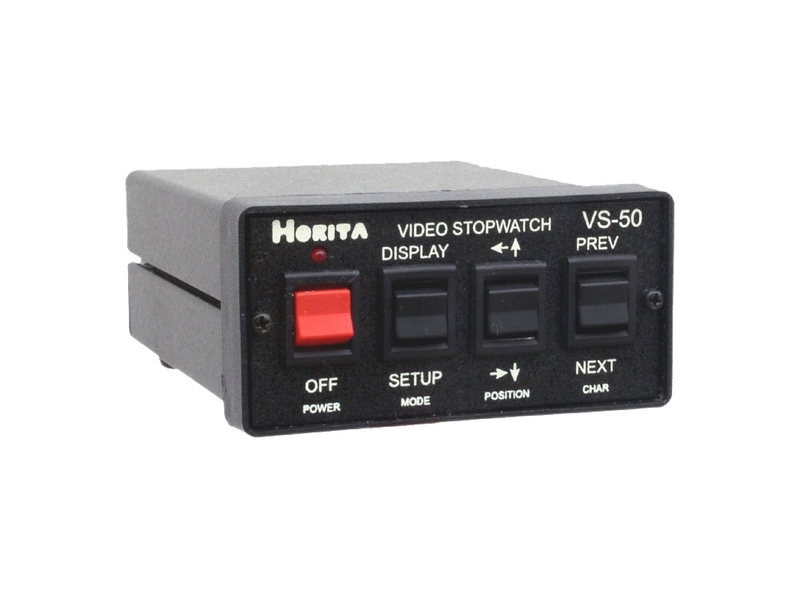 The four operating modes of the VS-50 Stopwatch provide you with a simple downcounter to zero, a downcounter that continuously "reloads" each time it reaches zero, a combination down/up counter that counts up after it counts down to zero, or a simple up counter. The versatile VS-50 GPI output can quickly and easily be set to signal you when the counter reaches zero, or on every second or minute of the down or up count. 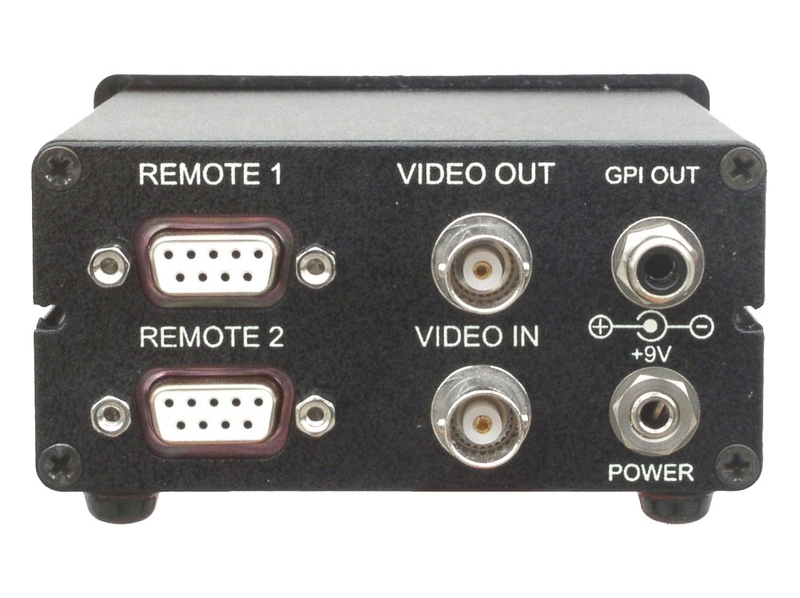 Other features include time and date display, captioning/titling ability, and remote control inputs. Nine different stopwatch display formats include those with tenths and hundredths of a second. Adjustable character sizes include large characters that can be viewed across the room. Simple "switch closure" inputs for remote control of start, stop, preset, reset, count up/down, etc. Multiple formats for time and date displays. Stores and displays up to nine lines of twenty characters each for captioning/titling video image. Four separate setup menu displays make it easy to set character size, position, contrast, black/white, mask, time, date, etc. "Split screen" vertical position mode allows placement of display lines at the very top and bottom of video image to keep them out of the action.